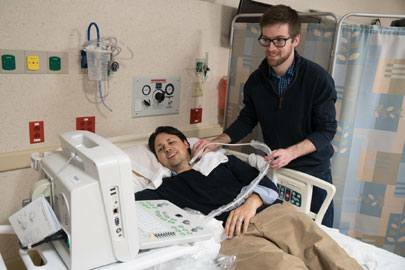 The UW Health Clinical Simulation Program provides robust and realistic learning opportunities to prepare health care professionals for actual patient care situations. The program offers educational opportunities for students, faculty and staff from UW Health, the UW School of Medicine and Public Health, departments across UW-Madison and the community. 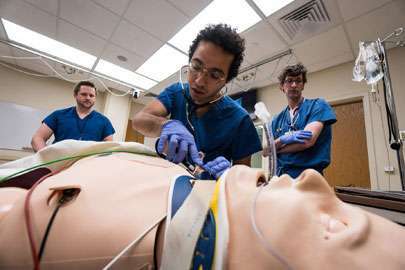 Learn about the process involved in creating, executing and evaluating a simulation event through the UW Health Clinical Simulation Program. Upon request, a budgetary quote will be made available after submission of a completed application for use form online. As part of our commitment to grow the science of simulation, our program pursues partnerships with outside entities and industry. This includes collaborations for hosting educational conferences, research and usability testing. 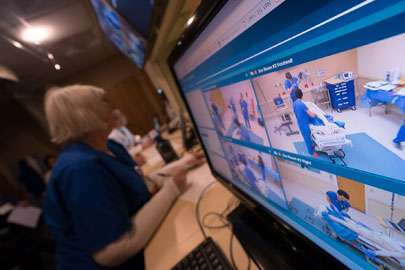 Our state-of-the-art facility, expertise and scholarly position within an academic medical center provides partners with a unique service, founded in excellence and innovation. These lucrative partnerships have led to new collaborations, products, technologies and measurable growth toward improved patient care. Our program's foundational goal is to contribute to better patient care through the advancement of simulation as a science. This vital belief drives our program, our facilitators, our collaborators and our staff to pursue new ideas, best practices and technologies. We seek other driven individuals to join us in this pursuit and encourage sharing of new ideas and a scholarly community of learning. 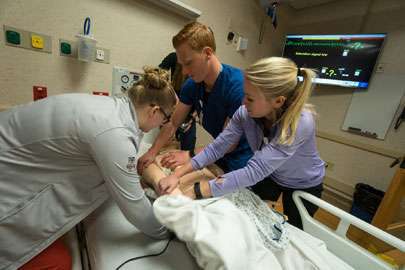 The UW Health Clinical Simulation Program encompasses all disciplines and practitioner populations and supports UW Health's goal to provide unsurpassed patient care quality and safety to patients. 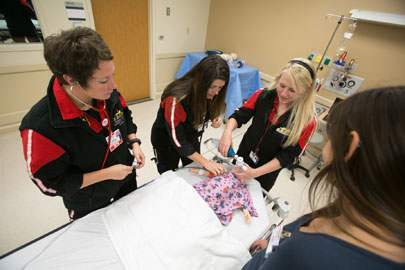 The members of the UW Health Clinical Simulation Program team bring together a wealth of experience in health care, academics and technology to provide simulation training for health sciences students and health care professionals within and outside the UW Health system. The UW Health Clinical Simulation Program is located in University Hospital, in the H module on the first floor near the cafeteria. Use our guides to help find your way to our facility. 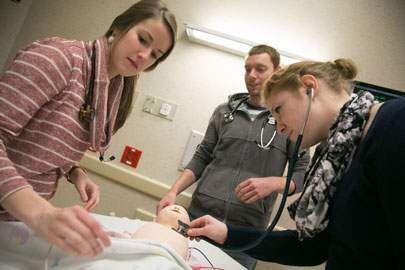 The Friends of the UW Health Clinical Simulation Program was created for individuals who want to actively support innovative education practices that improve health care. Effective January 1, 2019, Ryan Thompson, MD, will co-lead the strategic direction of the program in partnership with the Simulation Center manager and serve as the lead faculty champion of simulation throughout UW Health, UW School of Medicine and Public Health, Wisconsin and beyond. If you have questions about the UW Health Clinical Simulation Program, contact one of the staff members listed below.